More good news from Lebanon! Home / News / More good news from Lebanon! 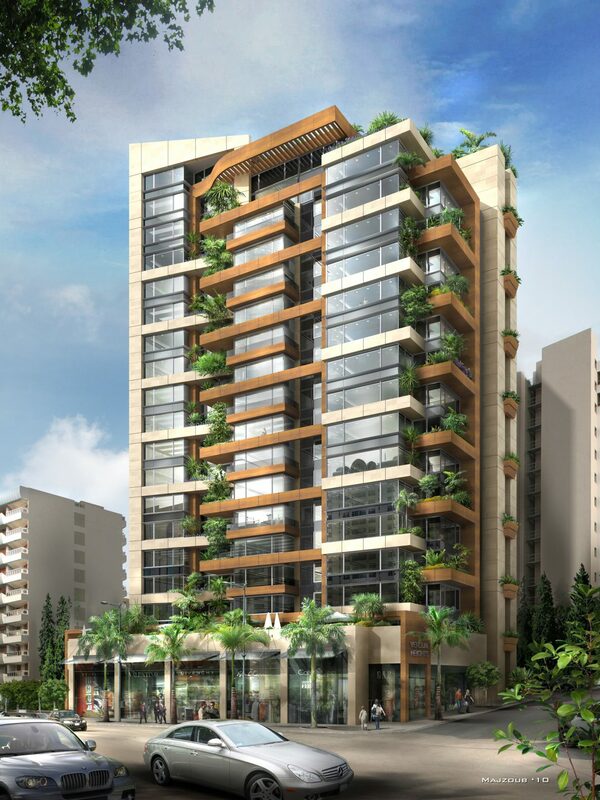 PMG and MMG Lebanon have recently been awarded a contract for the prestigious project Verdun Heights in Beirut. Verdun Heights is a residential building on Verdun Street, situated in the heart of Beirut’s upscale shopping district, with 18 floors and six basement levels. In total, there are 50 apartment units ranging in size from 260 to 360 square metres, along with retail shops, cafes and boutiques at street level. The building has an eye-catching transparent facade which creates a visual link between the interior and exterior. It is set back some distance from the street to allow for a large garden. Verdun Heights is one of many construction projects in the Middle East that is designed with the intention of being LEED certified. PMG will be responsible for the Property Management of the building, which covers a part time manager, accounting, procurement, legal and administration services, in addition to the soft services such as security, cleaning, pest control etc. MMG Lebanon has been awarded the Technical Maintenance, which will be carried out via a resident team, and is responsible for the management of the technical subcontractors.